Dorr, Gregory Michael. Segregation’s Science: Eugenics and Society in Virginia. University of Virginia Press, 2008. Efron, John M. Defenders of the Race: Jewish Doctors and Race Science in Fin-de-Siècle Europe. Yale University Summer Press, 1994. Glenn, Susan A., and Naomi B. Sokoloff. Boundaries of Jewish Identity (Samuel and Althea Stroum Book). University of Washington Press, 2010. Hart, Mitchell B. The Healthy Jew: The Symbiosis of Judaism and Modern Medicine. Cambridge University Press, 2007. Kevles, Daniel J. In the Name of Eugenics: Genetics and the Uses of Human Heredity. crown University of California Press, 1985. Kraut, Alan M. Silent Travelers: Germs, Genes, and the Immigrant Menace. JHU cheap nfl jerseys Press, 1995. Müller-Wille, Staffan, and Hans-Jörg Rheinberger. A Cultural History of Heredity. University of Chicago Press, 2012. Ostrer, Harry. Legacy: A Genetic History of the Jewish People. and Oxford cheap nfl jerseys University Press, cheap jerseys 2012. Print. Pietila, Antero. Not in My Neighborhood: How Bigotry Shaped a Great American City. IVAN R DEE Incorporated, 2010. Porter, Roy. The Greatest Benefit to Mankind: A Medical History of Humanity (The Norton History of Science). W. W. Norton & Company, 1999. Roberts, Prona?i Dorothy. Fatal Invention: How Science, Politics, and Big Business Re-Create Race in the Twenty-First Century. The New Press, 2011. Stern, wholesale mlb jerseys Alexandra. 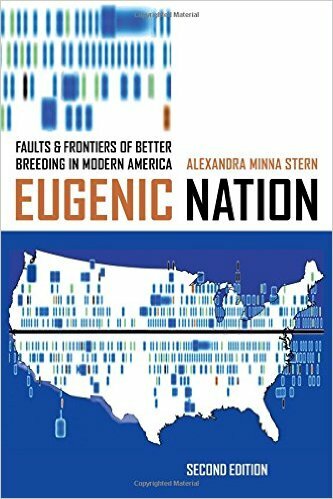 Eugenic Nation: Faults and Frontiers of Better Breeding in Modern America. University of California Press, 2005. Stern, Alexandra. Telling Genes: The Story of Genetic Counseling in America. JHU Press, 2012. Wailoo, Keith, and Stephen Gregory Pemberton. The Troubled Dream of Genetic Medicine: Ethnicity and Innovation in Tay-Sachs, Cystic Fibrosis, and Sickle Cell Disease. JHU Press, 2006. Kraut, Alan M. “Foreign Bodies: The Perennial Negotiation over For Health and Culture in a Nation of Immigrants.” Journal of American Ethnic History 23.2 (2004): 3–22. Ludmerer, Kenneth M. “Genetics, Eugenics, cheap jerseys and the Immigration Restriction Personalized before Act Home of cheap jerseys 1924.” Bulletin of the History of Medicine 46.1 (1972): cheap nfl jerseys n. pag. ProQuest. Web. 15 May 2014. Resta, Robert G. “The Twisted Helix: An Essay on Genetic Counselors, Eugenics, and Social Responsibility.” Journal of Genetic Counseling 1.3 (1992): 227–243. link.springer.com.proxy1.library.jhu.edu. Web. 28 May 2014. Yosifon, David, and Peter N. Stearns. “The Rise and Fall of American Posture.” American Historical Review 103.4 (1998): 1057–1095.